Are you thinking of getting your home inspected? Don’t forget – it is a complex process and needs precision. You need to be well educated yourself first before you entrust someone with the work. With someone I mean a home inspector. I am presuming, it is your first time, so, here is our advice for you. Read the below mentioned points carefully and then follow them. A good, respectable home inspector should be a member of one of the reputed organizations like the American Society of Home Inspectors, The National Association of Home Inspectors or the International Association of Certified Home Inspectors. Different states have their own state level associations, which too are reputed alternatives. These organizations certify and license home inspectors and bind them to follow ethical and procedural standards. Having said that doesn’t mean that an inspector who is a member is really good. But considering anyone else who isn’t, may back fire. Well, though working with a new home inspector who has an experience in home repair or construction isn’t bad, but largely you should consider the one who has learnt the craft, has a formal training or is accompanied with or supervised by a more experienced inspector during the home inspection. The body of work he has done in the past really counts and also speaks for his abilities. Are you insured..? Make sure you ask this question from your home inspector. By having home inspectors insurance, the home inspector is covered in the case that there is a mistake in his inspection, and the home owner decides to take legal action or asks for the settlement. For an inspection, a good home insurance inspector should take at least two to three hours. Bigger homes require more time. Anything lesser than this means that the inspector isn’t paying attention to the details. A thorough inspection is what you would want and an inspector who isn’t going to do so should never be hired in the first place. A well-qualified home inspector will look into every visible part of the house as part of the home inspection. And the main place included in this are attic, basement and roof. 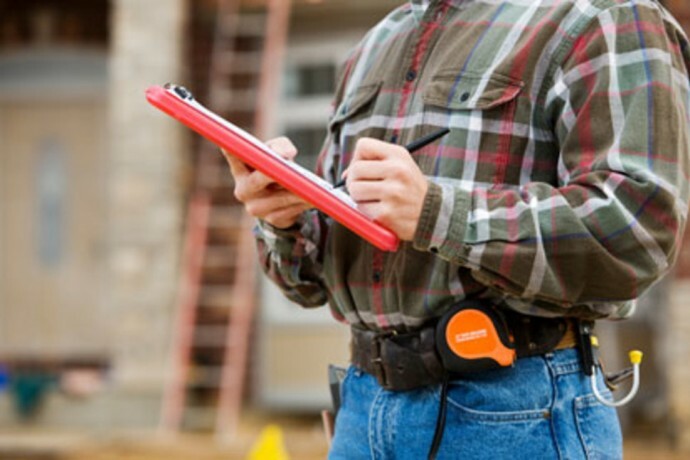 This also requires a home inspector to be fit so that he can access these places easily using a flashlight or ladder, whatever is required. Now one must also note here that he is not the one who should be expected to inspect the hidden areas like mold issues developing below the shower tiles or the wiring issues. But he should inspect the furnace, electrical box and water heater. He should tell you whether the systems are safe and sound and whether or not they require immediate replacement. A home inspector should have no problem in inspecting the home in your presence. If somebody has, it’s worth saying no to him. For any first timer who is getting the inspection done for the first time in his life should look at it as a chance to learn the things. A home inspector should take you on the voyage happily and explain what all is good, what’s not and what can be done in the best interest. You should not let go of this opportunity. An inspector should send in the report in a day. Apart from this, you should be aware of the reporting style. With this I mean, mortgage lenders may have a preference when it comes to the home inspection report. You too may have a particular preference. Do convey both to the home inspector. You should ask for a sample of their previous work and they should happily share it with you. Hopefully, this article has prepared you for the upcoming inspection. Follow our advice and get that inspection done with a free mind.